Oh my word y’all, this post is SO overdue! And if this is your first time on the blog, if the big blonde hair wasn’t a dead giveaway in my profile picture, I’m sure that sentence let’s you know I’m from Texas! haha! A few years ago I shared some blogging tips here, and this is still the most common question I get! From wanting to grow their audience to wanting to collaborate with brands it’s easy to see there are still a lot of questions and myths about the blogging industry! Addressing these myths, concerns, curiosities and questions is something I’m so passionate about because I originally worked in PR with bloggers! My job was doing what I do now, but on the other end! Before I get to the questions y’all sent me via social media, I thought I’d share my background. I think it explains a lot about COF and hopefully answers a lot of questions you may have! Q: How Did You Get Started In Blogging? Many of you know that when I was in middle school I was diagnosed with Discoid Lupus. Thankfully, now my body is in remission however, I do still deal with symptoms like small flare ups. But for those who aren’t familiar with Discoid Lupus, it’s essentially an autoimmune disorder that not only fights you internally, but your skin as well. I would get a butterfly rash on my face, scalp and my joints killed me. I couldn’t go up and down stairs, had to go to medical centers in Dallas, Atlanta and Oklahoma for treatment and missed a large amount of school. Discoid Lupus can cause rashes, hair fall out, blisters and many other less-than-lovely skin conditions. My mom had a background as a makeup artist when she was my age, so she was wonderful at helping me treat, conceal and cope. However, at the time blogging wasn’t big in the states. Beauty blogging was large in Europe and so I spent all my spare time googling, reading and watching beauty bloggers talk about skin. I tried to educate myself as much as I could because in the 3 years it took me to get diagnosed, I learned that I would have to be my largest advocate. It was so hard to find the right messaging and products to help me. I walked out of class, called my mom and told her I just couldn’t do it. She said, “I knew you wouldn’t do that. You’re going to help people with writing all you know about products that helped you.” She birthed me, so she always knows best! When I was diagnosed with Discoid Lupus I turned my bedroom into that of a wannabe Allure Editor’s office. I stuck magazine articles on beauty products all over the walls, read everything I could on skincare and wrote in my journals about what concealers worked vs. what didn’t. Naturally, I walked to my guidance counselor’s office, told her I was switching to PR and that I’d work in PR for a skincare company. I absolutely loved it. I got an incredible internship for a lifestyle PR firm in Dallas and learned so much about the industry. I owe so much to my boss there because she taught me everything about restaurant PR to fashion PR. We had lots of beauty clients and I got to combine my love of writing with my love of getting messages out to help others. By the time my senior year rolled around, blogging was growing in the industry. Marketing, advertising and PR agencies realized that word-of-mouth advertising was the strongest tool and worked far better than ads. Campaigns switched a focus from traditional media to bloggers. I started to work with bloggers on campaigns and getting them to cover brands. My best friend, Kristin, was doing the same in Austin. We thought we’d start a blog just for education purposes. We knew no one would read it, and thought that this would help us better understand bloggers so we could help our clients more. I graduated early that year in December, we had started our blogs in November and by March I was full-time blogging. In April, Kristin was given a promotion and she told me she couldn’t do both anymore, so I took over COF full time. So every time I write a post, there is a place deep inside of me writing for a girl that is trying to find information on the internet and can’t! To be 100% honest, it doesn’t come from a place of loving fashion or outfit of the days or even makeup. It comes from purely wanting to help, because at 13 I couldn’t understand why I couldn’t find products that would help me. 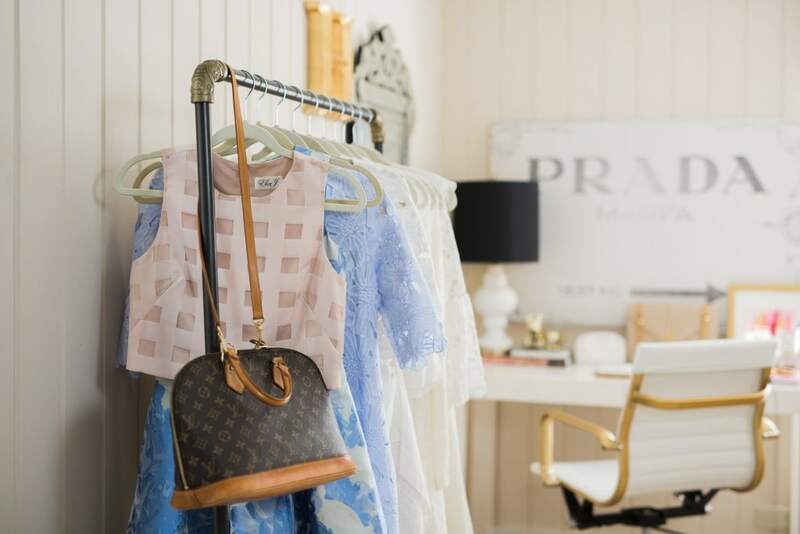 The wonderful thing about blogging is I’m able to combine all the things I love [fashion, beauty, accessories, home] and blend it in a way that can help people and I’m thankful to God every single day for that. Q: How Did You Grow Your Audience? Consistency. I started to work on my social media accounts while I was in college. I knew I’d eventually use it, I just wasn’t sure in what manner [a blog, a Youtube, etc.] and working in PR your social media is always part of your resumé. If you’re going to run a client’s Instagram they want to make sure you can run your own first! I just shared what I loved whether that was my dress to a formal, a lipstick I picked up or my bedroom in my sorority house. I made sure to post each day and interact with followers. I asked questions, I responded to comments and I genuinely wanted to be friends with everyone who followed me. I saw a trend in what girls would ask me on social media [makeup, hair, outfit questions] and I tried to share posts that answered those directly! Hashtags, commenting on other pages, following other people are all helpful tools. But consistent content will grow you more than all three of those combined. If you’re being consistent with posts and aren’t seeing growth, ask someone to analyze your account. Sometimes it’s hard to see what others see. Maybe it’s too many selfies. Maybe people aren’t loving the color scheme. Maybe your posts are too bright or too dark. That may seem silly, but ask 5 people to just analyze your account. I’d ask friends on social media [not friends next to you, they may not want to say!] and you can always return the favor. I’ve sat in so many SEO [search engine optimization A.K.A. how to get your website to come up on google] classes and they all say the same! People grab their pens to learn all the keys to winning google and the speakers say, “Content wins every time.” If you have good content, more users go to your site and with the new Instagram algorithm, you’ll pop up on the popular page and more people will see you. There are many SEO tricks such as correctly labeling your photos with alt text, using simple blog post titles [google reads simple stuff], etc. But original content is the key to growth. You may see one blogger that succeeds in taking lots of preppy outfit selfies but when you do the same it may not work. Why? Because people are already following that one girl for that information. So how do you get them to follow you?! Keep readin’ girlfriend. Keep readin’. The trick is to know your niche. 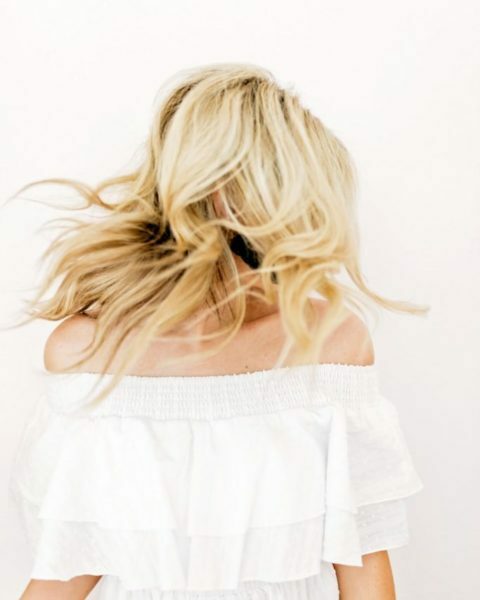 For COF my niche is being a personal style and lifestyle blog focusing on helping readers make their life easier, with an emphasis on good ole’ southern techniques. These are my tales of frivolous shopping [a.k.a what chronicles of frivolity means] that don’t matter, they just make life fun! I always want my blog to be rooted on my principles and faith, while we celebrate being women and all the fun lipstick choices that come along with it! 😉 Maybe your niche is budget style or you are a preppy New England gal. Focus on your niche because not only will your SEO increase, but you’ll be able to pinpoint a more specific reader. You may think, “But wouldn’t I want everyone to relate to my blog?” And the great thing about your blog is that people will relate to your personality. Most blogs I read don’t share the same style as mine, but I read them because I relate to the person. However, you will be helping an audience when you analyze and acknowledge your market. Here’s my advice: follow people you love, share good, quality photos, know your niche, engage with your followers, answer their questions, be kind to others, be a friend. People want to follow people that make them feel valued, so value your audience and they will value you with circulating your page. Why would someone go to your blog to read about how to style Tory Burch boots when 5800 other people have done the same post? They would go because they connect to YOU. This seems so simple, but whenever I analyze bloggers I truly admire those are the tactics they follow. They don’t pay ad sites, they don’t over hashtag and they don’t spam accounts. It takes a little bit longer, but it adds to the longevity of your account and ghost followers do not. Q: What Do You Do When You Run Out Of Post Ideas? I keep a notepad in my bag and write down ideas whenever they come to mind. I always get writer’s block when I’m sitting on my couch headed to write a post. But when I run around town and am active I see problems and want to fix them. I might be in a spin class and think, “How would a girl get ready for a date in under 30 minutes after this?” After class I’ll write that idea down. I may not write a post directly about that but I’ll combine it with something else I thought of as well. I also constantly ask my girlfriends about products they are trying or things they don’t like in the market. If they don’t like a certain self tanner I’ll ask why and that helps me know I should do a roundup of self tanners that dry fast and don’t smell, etc.! I also ask my readers a lot! I do market research twice a year through focus groups and surveys to help plan my editorial calendar for the following year. I did this in PR so much and that’s how magazines operate, so I treat COF the same. If you’re starting to plan this notepad is great for scheduling out your content. Q: What’s The Best Way To Connect With Brands? Create quality content featuring them. This is a question that every single blogger will answer differently, and I don’t want to discourage, encourage or nullify your current techniques. Basically, take what I say with a grain of salt because something different may work for you. However, I’ll just share what it is that I do and my thoughts on it with my PR background. Drumroll please……and don’t cringe at what I type next! I’m not a fan of reaching out. First, hear me out. When I worked in PR we knew the bloggers we wanted to work with before we reached out. And it wasn’t based on who was popular or not. It was based on the brand. Some brands want to tap in the mommy market, so we would geographically analyze 5-6 bloggers that we could work with. We looked at engagement, not numbers. If you have 900 ACTIVE followers commenting, we would work with you over a blogger with 9,000 INACTIVE followers not commenting. So we’d reach out to those bloggers. If another blogger reached out, we kept their information on deck but the campaign was already in motion. And before we reached out to our bloggers, we had back-up bloggers we wanted to work with based on the brand’s needs, etc. So let me rephrase, I’m not a fan of reaching out to a brand, expecting them to send me or even pay me for a job when I haven’t even crossed their radar. HOWEVER, I AM a fan of pitching. Pitch yourself and back it up! Create a list of 5 brands you would love to work with [but be realistic, for example I can’t put Dolce & Gabanna on my list because LOL-keep dreaming, Katey] and pitch them. I’d also make sure you have content featuring those brands. For example, say there is a brand I truly love and blog about them all the time and I just want them to see my blog. Maybe they will like my photos and share on social media [brands, always ask first! It’s illegal to take content and advertise your brand without asking permission] or they will just want to keep up with the blog and see if we can work together in the future. I’ll create an e-mail saying hi! I’ll share my blog, tell them how many readers and monthly views I have, and share why I love the brand and examples of my work highlighting their brand. Then, I leave it at that. I don’t send a media kit with pricing, I don’t tell them I want to do their current campaign and I don’t tell them I want to do the same campaign another blogger did with them. Because chances are, that PR girl knows about future campaigns coming up and if she thinks you’re closed off to them and only want to do a specific thing she may not bring it up. Introduce yourself, back yourself up with good content and let the PR fairies do their work! If you introduce yourself, familiarize yourself with the brand, share the brand and create a conversation lots of opportunities will come your way! I use a Nikon D7100 with a fixed35mm f1.8 lens. I’m a Nikon girl, but Canon is amazing! Both are pretty much the same, but I find Nikon to be better image quality and Canon to have better aesthetic and color payout. For example, my dad was a wedding photographer as a hobby and he used Nikon because he said his brides would have perfect skin, but he might have used Canon for product photography because the color was a bit more true. But with good editing you can fix both issues! I edit photos on lightroom. However, when I work with photographers they use Canon! So it really doesn’t matter too much! Q: How Did You Come Up With Your Logo/Brand? My best friend, Emily, is great at graphic design! She did my first logo and helped with my aesthetic. Then when I redid my site, I used a graphic designer who is a friend of mine! I typically say to not work with friends when hiring out for your business, but I’ve been so lucky that my graphic designers/photographers have been friends. They really get my aesthetic so I think that is important. If you’re working on your site or logo, I really recommend working with a small business! They will be more affordable and it’s so fun to grow together with another brand! Reach out to designers on etsy, ask if they would be interested in freelance work and chances are you will get so much more creativity from them than a business that is booming and super busy! When it comes to starting out, people ask a lot if I recommend hiring or doing it yourself. Other than your logo, I really recommend doing things yourself. Granted, this is a personal preference and it’s great when you can start your blog and it looks perfect. However, if you were to open a restaurant, you’d probably want to know how to cook yourself and not just hire a chef, right? I mean what would the purpose of the restaurant be and what if your chef were sick for a week?! Because I majored in PR I was able to take classes in graphic design, web design, journalism, photography and mass media. I was really fortunate, but I also spent the first year of my blog doing nothing at night but learning anything from SEO to editing tips. I mean when I look back on my first COF posts I sometimes cringe at my editing skills, but I’m also really proud because I know I learned a lot. So hire what you need, but I really recommend teaching basics to yourself because it’s your business and to keep it surviving you’ve got to be the one calling the shots. You can install a really simple theme on blogger [simple web designs always do best!] and then go from there tweaking bits and pieces. 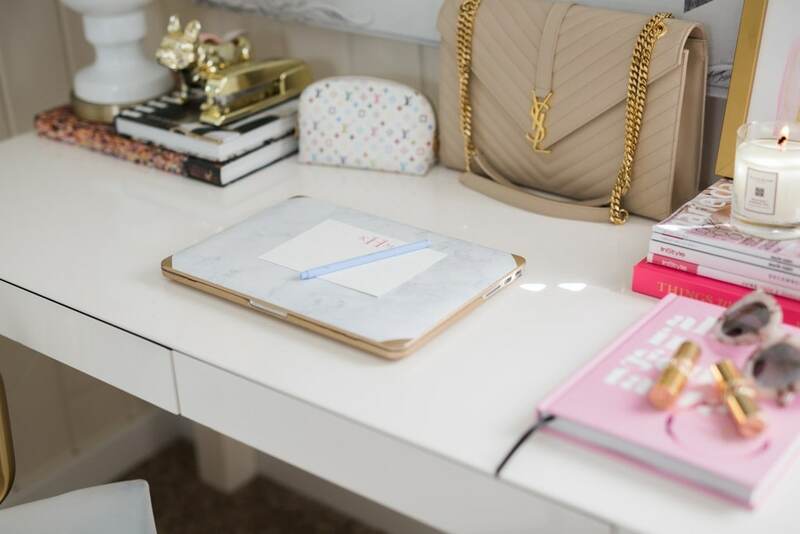 There are lots of blog workshops to go to [Bloguettes is a good one that teaches basics!] and Youtube videos! Q: How Do You Monetize? How Do I Get On Like To Know It? This is always so awkward! With blogging being a new industry, many people aren’t informed about how it is a career. When I meet people for the first time and they ask what I do I always have to take a deep breathe before I say. It isn’t because I’m embarrassed but because I know they will either not get it or they will be incredibly intrigued and want to understand it. There is seriously no middle ground! haha. You get one end of the spectrum where they say, “Oh, bless it. Good thing you married an accountant. So he funds you?” or they say, “Wait, that’s a job? How do I do that! Sign me up!” And you awkwardly have to smile and then your husband gets so defensive and starts bragging on you and you just want to crawl in a ball and DIE. I wish I had a dollar each time this happened. haha. Or I wish I had the Harry Potter invisibility cloak. Either one would do for the situation. Either one. Or you get someone who may not understand exactly what you do, but they really respect and admire it and ask a lot of questions! I always pray people respond like this because I never know what to do with the first answer. And I just have to chalk it up to the fact this industry is new and if people don’t work in an industry that closely works with marketing, etc. they won’t understand. And that’s totally fine! I’ll break down these ways below, but just know there are other ways bloggers make money this is just the basics! 1.Affiliate Networks: Anytime you go to Nordstrom, buy a few pairs of shoes and walk out the store coffee in hand, the sales associate made money. Their employer gives them a percentage of commission to thank them for creating trust in the brand that lead to a purchase. The same goes for blogging. However, there are different affiliate networks. Some networks bloggers get paid a small amount each time you click a link and some networks bloggers get paid a small amount if you make a purchase. 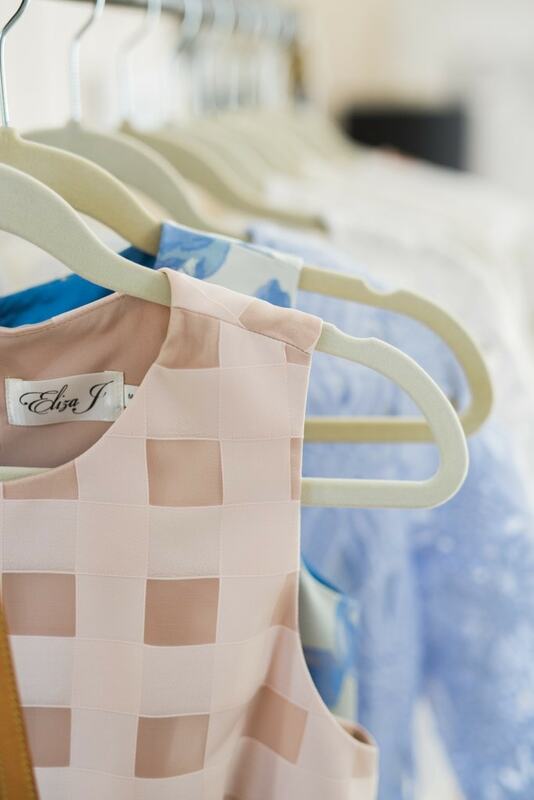 Each blogger has a personal preference on what they like and does it differently. Neither affect the reader. 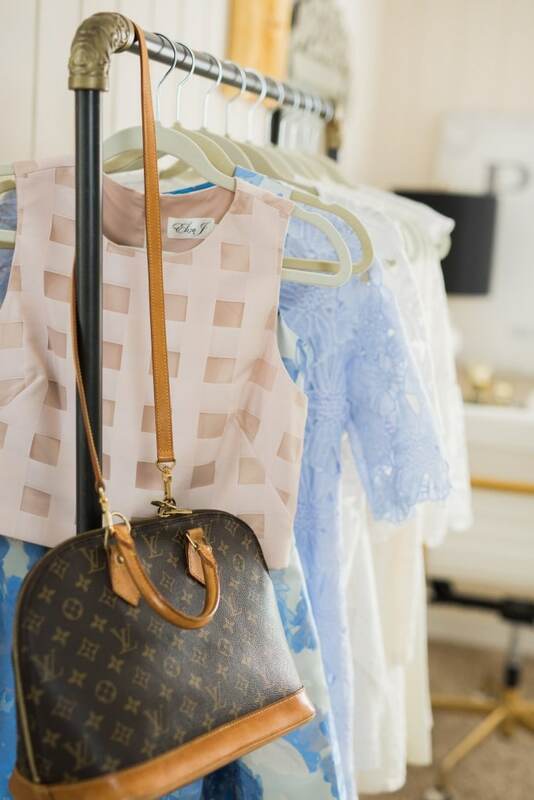 This process has been around since the beginning of sales associates and now stores just use it on blogging platforms because they see you’re doing the same work as a stylist at a store, you’re just able to reach more people in a shorter amount of time. Like To Know It is part of an affiliate network and I get lots of questions about the application process. When I started blogging it was before Like To Know It was out and about on Instagram, so the process was very new. Most people were invited to join and then some applied and it took a week to get accepted. Now I hear of girls who apply and it takes a year! But to be 100% honest with you, I don’t know much about the application process now. I will say if you aren’t accepted, it’s totally okay! There are other affiliate networks that can benefit you so much! Just search around for whatever works best for YOU and your brand! I do know that Like To Know It looks at image quality and engagement [or so I’ve been told!]. So it isn’t necessarily a numbers game. I’ve seen people be accepted with 2,000 followers and I’ve seen it take people 20,000 followers. It’s all about interaction because active users lead to actions, and that is what brands want. 2. Collaborations: A brand will reach out to you via an agency or your e-mail and will let you know about a campaign they have going on-this is what I did in PR! They have a budget set by a brand and if you love the brand, the budget falls in line with your business and you believe in the product you agree to come on board! I’ve written a post about the ethics of this here and how you’re never paid to say something. You’re simply paid to create content [photos, verbiage] for a brand which leads to SEO and trust, which in the end could lead to a purchase. Different brands have different goals. Some brands simply want their social media to have more engagement while other brands want readers to know about a new line coming out. It’s the bloggers job to take the objective and creatively accomplish that. These are typically paid through flat fees and sometimes this is also paid through gifting. For example, gifting is considered a monetary item, so you may be sent products to test for a collaboration and you share. You always must disclose what was gifted by saying [c/o]. When I worked in PR it was so much more difficult to hire photographers, stylists, models, etc. to shoot content for social media. And then when it was all said and done we could only use those photos every so often so followers wouldn’t get bored. The great thing about blogging is through collaborations brands are given a TON of content to repost, share on social sites, Pinterest any more! It keeps their social media editorial calendars flowing. If you love a brand, you can share their banner ad on your site! Lots of food blogs and mommy bloggers use this form of advertising! You are paid based off of your monthly views and circulation. Bloggers may host events for a brand and will be paid for their time, travel and promotion of the event. Campaigns are the same as collaborations, but they can also be long term. You can be signed on for a campaign for a year or longer and be paid to just incorporate a brand in your posts for a designated amount of time. However, these are really organic. For example, if you have shared a brand that you have loved for years, a brand then may say you’re great for their campaign and they could pay you a flat fee to keep doing what you’re doing! Or, some bloggers become the face of a company just as celebrities are and they are paid a hefty fee for specific work. Q: How Do You Edit? Do You Use The Same Filters? I edit photos on lightroom, but I don’t do filters. Would you believe me if I told you I don’t even know what VSCO or is it VISCO or isn’t it VSO Seed? Or is that iSeed? I literally don’t know what that app is and my sister uses it and tries to teach me. Most photos I put on instagram are professional photos or have been taken with my camera and edited on lightroom. On lightroom I just adjust tones, I like to have neutral tones [not too warm and not too cool] with brightness. My dad jokes that I love everything overexposed! If I take a photo on my camera I edit in in Instagram but without a filter. I just increase brightness, adjust warmth and sharpen. I really recommend the app Planoly for planning out instagram posts! That is one app I use daily and helps me see what I need to be posting more or less of! Q: What Is The Best Platform? Most bloggers use blogger or WordPress. I started on blogger and now I use WordPress. Blogger is very user friendly and doesn’t cost money to host! WordPress is bit more difficult and costs money, however it can hold a lot of traffic on your site depending on hosting. Yet, I know top tier bloggers that are still on blogger. I think it’s a personal preference! Q: How Often Should You Post When Starting Out? Whatever you choose to do, be consistent. When I was in school I could only blog three times a week, so I chose days based on that. Fridays are the lowest days for engagement on the internet, whereas Wednesday is my personal highest day for engagement. [I’ve heard that overall Tuesday is the highest day in the industry]. However, now I blog 5 days a week with the occasional weekend post. Your readers have to expect what time your blog post will go out. My blog post goes live every morning at 6 a.m. Central [unless there are technical difficulties] and I treat this as if my boss requires that. If I didn’t have something turned into a boss on time I’d be fired, so I can’t have a post go out at 9 a.m. or even 1 p.m. My readers would be thrown off. It’s a huge blessing when people take 5 minutes out of their day to read your blog, so I want to be respectful of their time and give them something to expect. However, there will come a point in my life when I probably only blog 4 days a week, say when I have a child. And when that happens I will educate my readers and be sure to keep them up to date! Whatever you do whether that is twice a week of every single day, make it consistent at the same time! Q: Would You Ever Be A Blog Mentor? I WISH! Unfortunately, I don’t have the time to now and I don’t want to be unfair and pick and choose. People ask a lot about how to make sure you stay level headed and don’t get caught up in the numbers game of social media. My trick, is to learn to say no and learn when to turn it off. There was a point in blogging that I had a 24 hour e-mail response rule. I mean I thought the sky would fall if I let an e-mail go 48 hours. When you start getting 200, 300 and 400 e-mails a day you work yourself sick. I’d stay up until 3 and 4 a.m. responding to e-mails and answering the entire time I was in the car with Paul. I ended up getting so sick with the flu and realized that I wasn’t doing anyone any favors. I can’t respond to every single PR pitch when it doesn’t fit my brand and I can’t thoroughly respond to people in 24 hours. Now I give myself about 3 days or so and I find that I’m able to help so much more! My e-mails are thorough, my brain has clarity and I’m able to shut my computer off at 6 and enjoy life! So be your toughest boss when it comes to creating content and being consistent, but give yourself grace when it comes to communication and constant contact. There is always a balance to achieve and when that balance isn’t there, you may not be doing your best work. I know I certainly wasn’t! If you’ve ever gotten a response from me at 3 a.m. I just want to apologize now for the typos, confusion and lack of depth! Q. What’s Your Best Tips For Creativity? Get inspired by people other than bloggers. What works for one will not work for another. I’m really good friends with The Teacher Diva. We have such similar personalities and taste. Each time we go in each other’s home we just go googley-eyed and drool over everything, even though we have all the same home decor items! haha! However, we have 100% different brands. 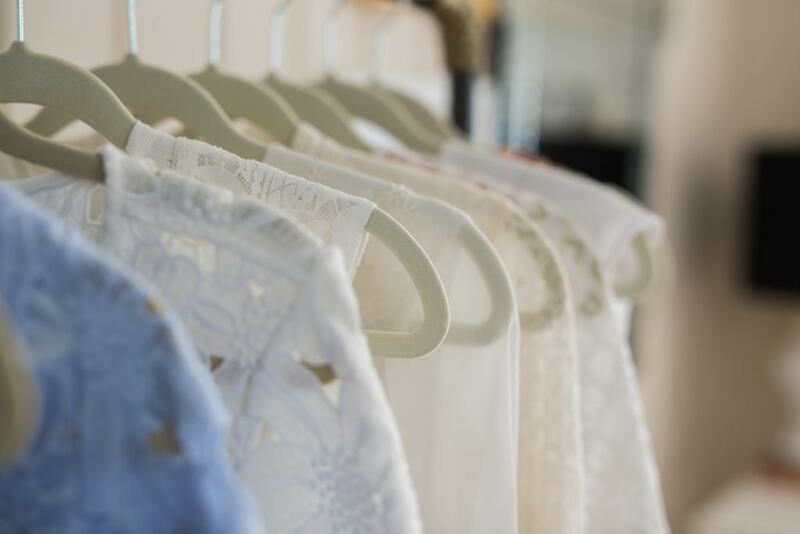 She has a very neutral tone with a capsule wardrobe that is accessorized with high-end items. I love bright, crisp images and hot pink lipstick. If I tried to copy a post like her’s or even recreate it with my own touch it would look so silly! And it wouldn’t work! People would know and my readers wouldn’t respond. When people come to COF they want to see leopard and mixed prints and fun handbags. When people go to The Teacher Diva they want to know what is the best silk blouse to buy. If we tried to answer that question for the opposite readership it would be a flop. 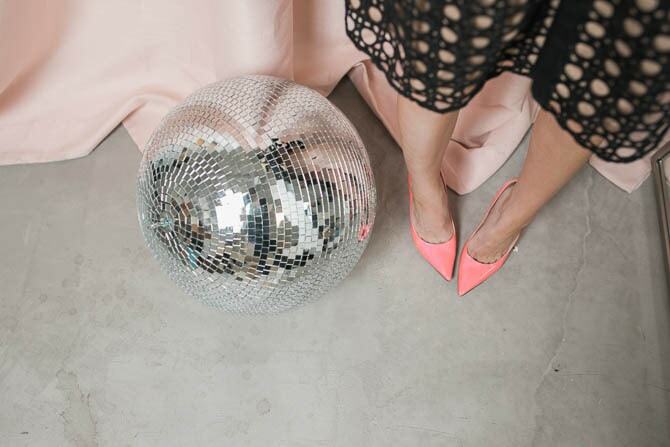 Personal style will always evolve, but your brand will stay true to it no matter what. There will come a point when I may not wear as many bracelets or I may stop wearing pink lipstick [ehhh, debatable!] but you’ll still be able to know it’s “me” and that’s the wonderful thing about branding! You can evolve, your style is eternal. Go old school. Pick up magazines from Half-Priced Books and cut out things that inspire you. 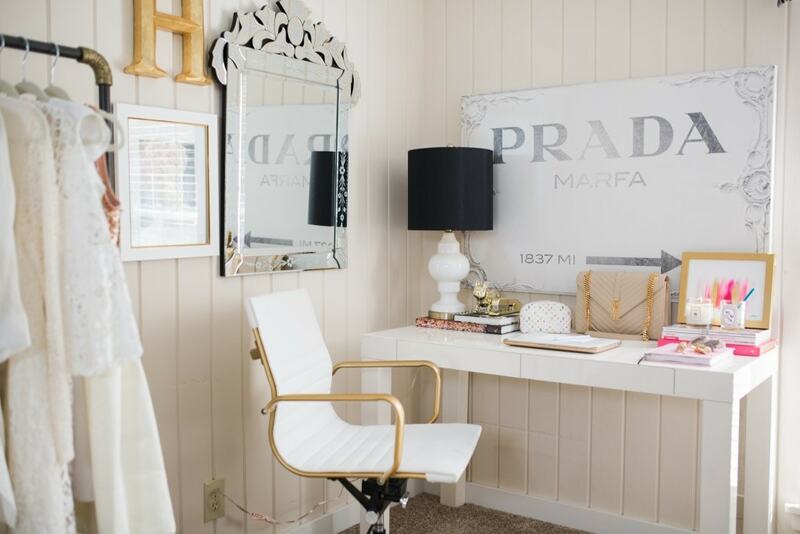 Make a mood board in your office. Read 30 minutes a day, it does wonders for writer’s block! Sit in a coffee shop and people watch. Read 3 pieces of traditional media a day. Go to a store, try on 5 pieces of clothing you would never buy and analyze why in the dressing room. Understand the fit, the texture the shape. Do your friends’ makeup, learn how to shadow hooded eyes vs. almond eyes. 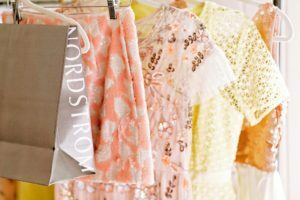 Neiman Marcus and Nordstrom always have fashion events with designers where you can learn more about brands and meet the designers. Q: What Do You Do When You Don’t See Growth? You grab a Diet Coke, turn your computer off, head to Nordstrom with your bff and you put on an outfit and look in the mirror and tell yourself how amazing you are! But it can be frustrating to not see growth and I get that. Let me get on a little soap box and then I promise this post is over and I won’t bore you any longer! Whenever I log onto my analytics I get frustrated. I can be hard on myself and wonder why something didn’t do as well as I thought it would or wonder why I’m not growing at XYZ rate. And then I remember why I started. Not to be sappy, but I remember being 13 and crying because I didn’t want to go to school because kids would ask what was on my face and why my hair was breaking off and why my joints were red and swollen. I remember sitting in the Atlanta medical center in a cold robe and the doctor saying, “Yes, your disease is eating away the cartilage in your nose and I can’t really explain that. But it won’t ever go back to normal.” I remember my mom pulling me out of school because I would text her that someone told me I didn’t deserve to be a cheerleader because I couldn’t go to practice because I had doctor’s appointments. And I remember crying in my dad’s arms while he carried me up and down the stairs because I couldn’t even get to my own bedroom. And then I tell myself to shut the heck up and not care about numbers. Numbers don’t define your blog. YOU define your blog. God has different plans for each and every blogger and we can try every trick in the book, but some girls are going to grow fast and some girls are going to grow slow and steady. And we can’t control it. But we can control our interaction with readers. My main goal was to start a blog, so I could understand bloggers and do my job better. I wanted to do my job better so I could get messages out to readers that needed a product to help answer their solution. Then I became a blogger and my goal is to get products out that genuinely help people in their life, whether that is by giving them more free time or helping a skin condition. And you know what? I’ve accomplished that. I know for a fact I’ve had a reader e-mail me that TULA has helped her skin. And I know for a fact a reader has e-mailed me saying that they liked my organizational post because they didn’t have to spend a whole weekend cleaning, it was laid out for them. Two people. Goal accomplished. And I’m content. I could continue to grow or I could stop growing and at the end of the day I’m so stinkin’ blessed to be able to do what I do and have the support, loyalty and love from readers like you. And if you are a blogger, I just want to encourage you that you HAVE a voice and you HAVE a story. And your story is not that you want to be a blogger. Think about why you want to blog? If you want to blog because you think what we do looks easy, or fun or you want clothes sent to you, those are the wrong reasons and you won’t enjoy it even when you get to that point. But if you want to blog because you love photography, or you love to write, or you have a story to share or because you want to prove that you can be the best mom in the world AND have time to blow dry your hair, DO IT. And share that! Find a reason for your blog, other than blogging and you will always be satisfied. People satisfy you, number do not and the Lord made us that way! I could blog for 5 more months or 15 more years and I’ll never wake up in the morning and think, “Katey, today is THE day. You hit your instagram goal. You had XYZ followers on your blog. You’re done. You did it.” I’ve had so many “numbers” goals in my head and they’ve never once satisfied me. Years ago Paul used to say, “We are going to go to dinner when you hit this goal.” And you know what? We never did. When the time came I didn’t even care because I didn’t think I’d accomplished anything. But I will wake up one day and say, “Okay, today is the day. You’ve helped people on COF. You’ve loved it. And now God has a plan for you to help other people in this area. You did it.” And anytime I get a kind e-mail or a reader comes up to me, Paul tells me how proud he is of me. And I feel like I’ve actually taken a situation in my life [Discoid Lupus] and turned it into something good. I’m proud of that, because people leave lasting emotions, not numbers. When you don’t see growth don’t give up. Instead, invest. Invest in your readers through a giveaway, e-mails, comments, interaction. And I promise you that by giving back to those that give to your blog, you will be more fulfilled than a number could ever make you feel. This market is over saturated, everyone and their mama has a blog and we will not all grow at the same rate. But we all have a story, an experience and a reason to help others and that is what makes this industry so unique! Word-of-mouth marketing is stronger than any ad will ever be because we as humans want to connect with other humans. We want to cultivate relationships, to relate and to understand issues that we all struggle with. So keep sharing your story, keep giving back and your blog will go to places that a silly number can’t take it! I hope this Q&A helped you and if anything let you know that I believe in you just as much as you believe in COF! I can’t thank you enough for all your support and if you want to see more blogging posts let me know and I’d be more than happy to work on that for you! This was such a helpful, inspirational, and motivational read! My goal for my blog is to show my readers they can have great style at an affordable price .. sometimes this goal gets lost when I overthink/over analyze but reading this today re-affirms the end goal that I need to keep in mind. Your answers were incredibly helpful and I loved your advice about reading, browsing magazines, etc to gain inspiration! Again – loved this post! Have a great Monday! This post was amazing. So thought out and detailed. Your story and journey with Discoid Lupus is so inspiring. Be proud of what you have accomplished and the way you have changed your readers lives! The way you combine content and your personal life is such an amazing skill. Thank you. Thank you for taking the time to share with your readers! I would love to see more posts about blogging. You are truly an inspiration! I just want to thank you for being so open, honest, and transparent with all of your readers. You have no idea how much we value that! I have been watching you since day one! I am so happy for all of the wonderful things you have achieved. You are truly an inspiration to me! You constantly inspire me and motivate me to take my blog to the next level! I thoroughly enjoy your daily inspirations. Thank you so much! How was the beach? We go to Rosemary Beach every summer and just love it! Hope you stopped into Willow and The Pearl! I was writing to ask you what PR firms in DFW you could recommend my son apply for employment. He just graduated in May with a masters in industrial organizational psychology. He lives in Shreveport and is willing to relocate. He has been applying and interviewing locally, but the economy has not been affording him the right opportunities. Thank you in advance for any information you could provide. Happy Monday! I am not a blogger but I do enjoy reading multiple blogs. Yours is always the first one I go to in the mornings because I know there will be a good post up. I love that you “preach” (for lack of a better word) consistency and stick with it! You are such an inspiration. I loved reading through your tips. They are so genuine and helpful! Keep them coming! This is such an amazing post – very detailed and helpful especially for those of us that are just starting out. Thank you for sharing your tips! Hey Katey! My friend and I just started a blog, The Capitol Flair, and I just wanted to stop in and tell you that this post was SO helpful! I loved the tips you gave and how in depth they were! Thanks so much for reaching out to readers like me! This post was so real, open, honest and humbling. You are just the sweetest and I love that you have chosen to share your story and be authentic in everything you post and share – and look at you now! So successful and still sharing amazing tips and the latest and best pink lipstick. You are truly inspirational! LOVED this post, Katey. Thank you so much! I’ve honestly followed your journey on COF from your first week of posting (shoutout to being a freshman in Tri Delt thinking “I need to follow Tri Delts all over so we can order similar cute shirts”). You’re such a daily inspiration with your faith, determination and inspiring fashion! So. Well. Said! I just loved every bit of this post! There are some days that get me down when I’m blogging but I always remember how much I love it and how much I love sharing with people and helping people and I pick myself back up and keep going. Thanks so much for sharing Katey! I just wanted to say that it is definitely noticeable when bloggers care about what they’re doing and are thinking about the readers vs. when they don’t. I appreciate the effort, professionalism and care you have for the blog and your readers. My only request is more Peaches!! Thank you again for such a great blog post. I am grateful to follow some pretty amazing bloggers like yourself. You are an inspiration in your lifestyle, your fashion, and you faith and those are the best traits to have. LOVE this post! I started following your blog way back when you and Kristin started, and I remember thinking you had such great style. 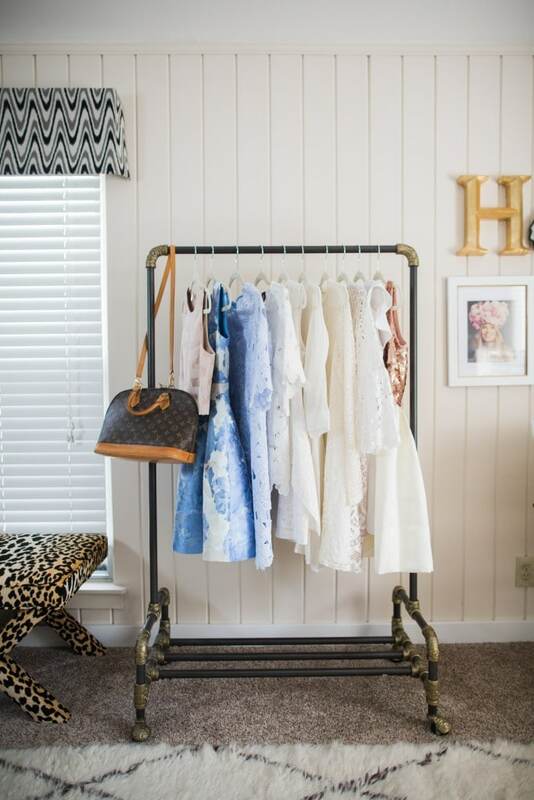 I’m much more conservative (I live in Boston, where certain things just don’t fly fashion-wise) but still love to share my fashion and home style. Plus, I love to write! So thank you for reaffirming that I’m blogging for a good reason – because I LOVE it! I love this post! I’ve been reading blogs for about two years now, and yours will always be on my Top 10 List. Because of that list, I’ve recently decided to start my own. Oh my, there is so much to learn. It’s kind of (a lot) overwhelming. This post reminded me of why I started and even helped me dig deeper. Thank you, Katey! Wow!!! I loved every word. Thanks so much for sharing in detail the ins and outs that you have learned. And, I loved your story in how you became a blogger: You are inspiring and encouraging. I’m so thankful that God is using you to share all of your gifts and talents. This post was amazing! I think you are doing a wonderful job, I am sure you will keep on growing , you deserve. Have you ever thought about having like an intern , somebody you could mentor? That would help you with your email responses and also you would be helping someone, just a thought! Enjoy you day! Thank you so much for your kind words! I’ve had a few interns over the years and loved it! Unfortunately right now with my schedule, I haven’t had the time to teach anyone but I hope to again in the future! You never fail with the incredible posts. I know I’ve emailed you a couple of times before but I just loved this post. I started my blog a year ago because I struggled with high school, it was extremely hard and a painful experience for me and I started a blog to motivate girls to get through anything and as a fresh start for my college life. I actually read your blog a few months after you started and read along my last years of high school. Seriously, at nights my girl friends were being awful and so mean, I’d just read your blog and It would make me feel like I had an amazing, godly bff!! This post was extremely honest and motivating and I so appreciate it! Absolutely love COF and you!!! This was a great post Katey! So inspiring and motivating! I love to hear successful bloggers stories of how they got to where they are. I learned some great tips to use on my blog! GIRL. I’ve always loved your blog, but this post made me tear up – in the best sense. I didn’t realize just how similar how reasons for starting blogs actually were!! While I didn’t have Lupus, I was bullied really badly when I was 13-14. At my smaller grade school, I was always ostracized for being the weird “smart girl” that liked to play with makeup, and I came home from school on so many occasions crying my eyes out that no one wanted to be my friend. I couldn’t understand, and I thought something was wrong with me – it was such a painful, vivid time in my life that I”ll forever remember it. I always loved to write, though, and come college, I started having a few people reach out saying how much they enjoyed my writing. So it dawned on me: If I could start something online to make other women feel loved, supported, encouraged, and important so that they never had to feel as insignificant as I felt growing up, then that would be SO DANG COOL. And that’s how Coming Up Roses was born. And you’re absolutely right. The numbers game can be real and painful and really hard sometimes, but when you look back and recenter on the WHY – for me, the whole “did I help someone” today mentality – it’s clarifying. Getting a blog comment that says “I really needed to read this today” always puts tears in my eyes because it’s the type of girl talk I desperately needed when I was young, so being able to provide that for other girls now is just a blessing. THANK YOU for your constant dedication to honesty and authenticity and for truly being a kindhearted person. In an increasingly superficial world, you stay so down to earth and so genuine, and it constantly inspires so many. You’re the type of gal I just want to curl up on the couch and chat with over mimosas!! I look forward to your posts daily and I’m 53 years old! I actually emailed you and said Tula really improved my skin and I see a noticeable difference. I’m currently helping my daughter with her sorority resume and rec letters and found myself saying…”what would Katey do? I love how real you always are on all of your posts! I love the honesty, and I always look forward to reading! Thanks, Katey! GREAT post Katey! Love how open and honest you are with your readers! Katey thank you so much for writing this post! I feel like so many bloggers are not wiling to share their experience and how they have gotten where they are. Thank you for being authentic and real about your blogging journey. It can be so discouraging to work so hard at something without seeing results. But like you said, if you put your value into helping others and not make it about your own personal goals, then that is when you are making a difference. Thanks again! I just love your voice. I love your style. Most of all I love that you use what God has given you to help and inspire others! I hope God keeps blessing you for many years to come! This post will e my guide!!! This post. Wow. It was everything I needed to hear. Love your blog. Love your story. Love your passion. Totes inspirational and motivating. Such a helpful post, I’ve just started a travel/lifestyle blog based in Abu Dhabi and finding information like the above is priceless and so helpful! All the best and I will keep on reading. Katey thank you so much for writing this post! With every new section I read I found myself saying “Amen girl” and “yes!”. When I started my blog I started it as a way to express myself (I didn’t even think about making money off of it) and now I’m just months away from expanding my blog into an online boutique. I’ve always stuck to my little system of doing things and it seemed to work out for me. Yes I read a million how to blog better and all that jazz but most of the tactics just never appealed to me. I don’t have ads on my blog (no offense to anyone who does) I just don’t really like the overall look of it and when I post on Instagram I don’t use a million and one hashtags. I’m actually pretty terrible at hash tagging. ha! I also have always stayed true to me the entire time. Yes all fashion bloggers are going to post TB riding boots and a vest in the fall, duh, but it’s all in how YOU wear it. I love how you mentioned that “what works for one person doesn’t work for everyone”. It’s so true. I had someone tell me that I ruined my Instagram theme because I posted pictures of my puppy…ok, who doesn’t love a puppy?! The whole point I’m trying to make is that tis post totally inspired me to stick with what I’ve been doing and stop getting down on myself when other bloggers get way more likes than I do on a post (it doesn’t matter in the grand scheme) and I know it’s because of the million and one hashtags I refuse to use. haha! I love how authentic and real you are with us! I’ve been trying to be this way the entire time I’ve had my blog and now that I’m expanding into an online shop. Authenticity is what people want! I also feel uncomfortable when people ask how I blog full time and are opening a boutique, like where does the money come from, like hello awkward turtle moment. haha! I love that your husband defends you! Thank you so much for being amazing!!! p.s. sorry this was the longest comment ever! Okay, so being a new blogger, I have personally spend probably half my day googling things to help me learn this industry. How to gain followers, ideas to blog about, how to make my blog better, how to monetize, etc. I have read all these articles, never explaining to exact real details about becoming a blogger. Honestly, everything I have read before this has all sounded like the same repeated non beneficial thing. Thank you for making this SO personal! Thank you for explaining everything SO well and thank you for answering all the questions Iv’e been having lately and not worrying about word count or going too far in depth. This post is absolutely perfect! I really can’t wait to put all this knowledge towards my blog! Katey – Thank you for this post! I’ve been following your blog for awhile now and something that has always stuck out to me is how you always seem true to yourself. Regardless of any differences of style, I love that you’re able to weave multiple aspects of your life into one cohesive look. Your tips are definitely something I would trust in, because they are so down to earth, seem very genuine and I feel as though I can see how you’ve actually followed these tips for your own blog. Thanks your sharing your story and wisdom! Katey, this is so so helpful!! I started my blog around the holidays and it’s been so much fun to watch it grow. Your advice is beyond motivating and inspiring, keep doing you girl!! Your writing style is amazing & I get excited for your posts every day <3 I adore you! Thank you so much for your post. It was so encouraging and real! I felt like I was in a room chatting with you face to face. It’s nice to meet another Fort Worth Blogger. I’m a Fort Worth native mom, wife, and teacher. I’m just beginning my blog and even if nobody ever reads it, I’m happy because it allows me to be creative. Thank you so much for sharing your tips. Katey this post was so helpful! I have been trying for so long to find my blogging groove with so much discouragement but I always find myself inspired and reenergized by you and your brand! I love how relatable you are and I find it so exciting to see your growth since I started following your blog from the very beginning. This post is truly remarkable. Inspiring! I’ve had my style blog for two years now and I’ve experienced nearly all of the thoughts you just expanded upon. Thank you for sharing! You have COMPLETELY won me over! I’ve been following you for months now on Instagram, but this is by far my favorite post. I’m currently in the beginning stages of my blog, but I too had a difficult medical history growing up. I had horrible scoliosis that was not properly fixed with surgery, so I dealt with YEARS of negative body image issues and incredible amounts of pain. My goal is to make people happy every day and that’s what I hope to do with my blog. You’ve really inspired me! Thank you! Such a wonderful post! The last 1/2 about having a bigger purpose gave me chills reading. Your original content and heart shines through! Thank you! I am not a blogger, but I will tell you I love reading your blog, and this post is inspirational whether or not you have one or are starting one!!! Wow. This is the most in-depth post I’ve read about blogging. Thank you for all the tips! I have a question, do you just use the blog planner you linked or do you also use an editorial calendar? If so, what do you use to create your editorial calendar? Thanks lady! But I just wanted to tell you how much inspiration I got out of your post. Not only your encouraging words about the blogging industry but your sharing your struggle with Lupus. I can totally relate because I am in the process of fighting my way back from a recent and long overdue diagnosis of rhumetoid arthritis. It stole so much from me. My looks, my body, my mobility, my health. But Like you, I have turned a corner now. Anyway, thank you for being an autoimmune inspiration!!! Congratulations on your new bundle of joy. Maxi is simply gorgeous ! I just came from your live Instagram story! I just started a blog a few months ago and I have been trying to grow my Instagram following along with my blog. I just wanted to say thank you. Thank you for being the one who inspired me to start a blog. Thank you for helping me see what my passion really is. You gave me the inspiration and the name for my blog. My blog is called Frivolous Things simply because I love talking about the frivolous things in life. Also, how it’s ok to talk about the frivolous things, we just can’t let those things have us. I also love your heart for Jesus. It can be rare to find women with the same heart as mine especially spiritually. That is what I call a kindred spirit. I ask Him to help me reach girls with my blog and social media. I want people to see Him through my heart of fashion. I believe Jesus can touch people through the art of fashion and social media. This blog post really helped me to see that how many people who are following my Instagram or my blog doesn’t matter. The number doesn’t matter. I have been down on myself lately because it seems I am stuck in a rut and I can’t grow in both of them. But, that number doesn’t define me and I have to remind myself that the reason I am doing this is not for the followers or the numbers. Believe me, I have to remind myself constantly of this! I am confident in what I am putting out because Jesus gave me the passion for it. This post really helped encourage me and helped me see the real reason why I am doing what I am doing! Thank you Katey for being my inspiration in every way! This was such a helpful and inspiring post! Thank you so much for sharing your story and tips!! I look forward to reading your blog often. I am so glad I found this post! Thank you SO much for always being so transparent with your readers, it’s nice to know how much work actually goes into blogging with it being your full-time career.